Summers are scorching; opt for autumn or spring instead to explore the medina in comfort. Marrakech winters are pleasingly sunny, but you’ll need a warm wrap for the chilly evenings. Packed with traditional and cosmopolitan restaurants, Marrakech tantalises gluttons with bold flavours and colourful dishes. Quench your thirst with a glass of sweet, refreshing juice squeezed from the local oranges. La Bagatelle is a French institution with a shaded terrace. 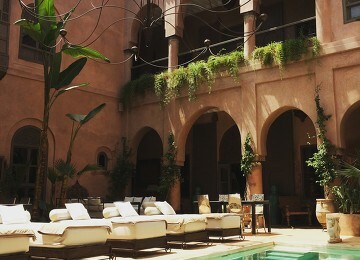 Le Tobsil entertains diners with Moroccan blues in an elegant courtyard. 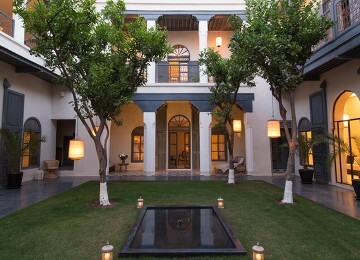 In the Medina, Dar Yacout is as renowned for its magical interior as its scintillating cuisine; make sure to book ahead. Amble around Jardin Majorelle’s sweet-scented gardens. The iconic cobalt-blue house was once owned by Yves saint Laurent and now houses a fine collection of Berber crafts. Marrakech’s furtive, boundary-pushing nightlife is all about speakeasy bars and rooftop terraces. Drinking is restricted in the Medina, but you’ll find plenty of cosmopolitan hangouts in the new town. Decadent Comptoir Darna woos guests in an art deco villa with belly dancers and a foliage-veiled courtyard. Prop up the 1920s bar at La Mamounia, a clubby drinking den that once made Churchill feel right at home. 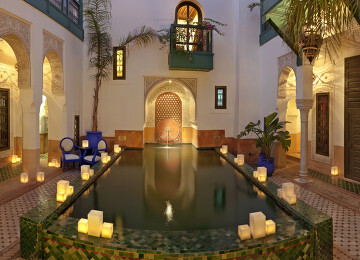 Hide away in a heart-of-the-action riad in the Medina: these revamped houses are decked out with atmospheric courtyards and refreshing plunge pools. 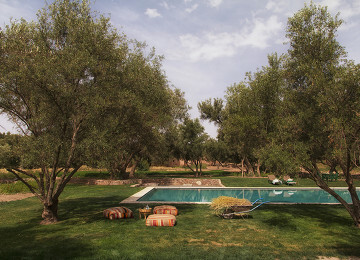 If you’re looking for more serene surroundings, head just outside of Marrakech for aristocratic mansions and palm-fringed retreats. A 15-minute drive from the Medina, Marrakech Menara airport serves daily flights to major European hubs.Trains run from the main train station to Casablanca and Fez. From artery-like lanes of tightly-packed souks and food stalls to exquisite palaces and serene riads, we share our tips on how to best spend a break in Morocco’s capital of culture.